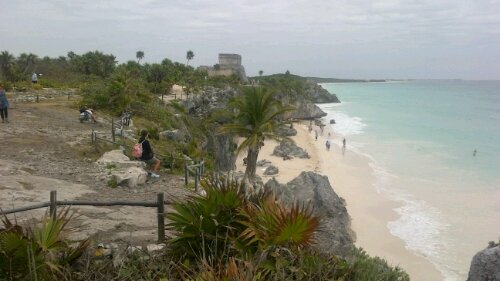 Wow, what a change from 10 years ago when I last visited the Tulum Ruins. You used to drive right up to the ruins in your car and you could climb all over everything. Now it’s super commercialized. There is even a Dairy Queen! You can no longer park close and have to park in a lot with the tour busses. The ruins are still beautiful, but no longer have that rustic charm of an undiscovered place. 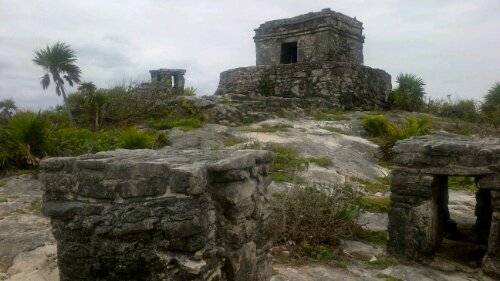 After visiting the Tulum ruins we stopped in the town for dinner. What a change here too. It used to be a couple of restaurants on the side of the road. Now a bustling community. It reminds me of what Playa del Carmen used to be like 10 years ago. Now Playa is like Cancun, and Cancun is like Las Vegas. It’s funny how the cycle of development works. Everyone goes to places because they are small and quaint and the the developers come in and everyone moves further out from civilization. 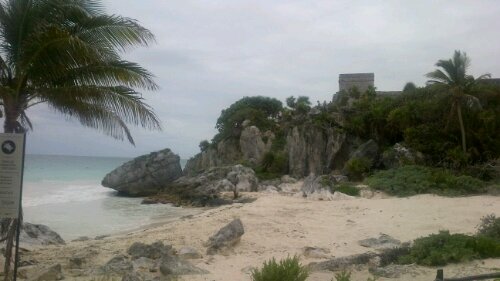 Tulum ruins offer some fabulous picture taking opportunities. This Maya city is one of the only sea citadels. Here the views are breathtaking and will present you with some great photo opportunities. Bring the good camera! 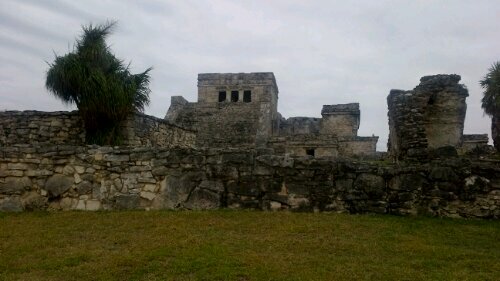 The grounds are well kept and the ruins are easily accessible from a tour offered by you hotel or from the city bus terminal in downtown Cancun. Anyway, I got to get caught up on my posts! I’ve got some updates from Puerto Morelos, Isla des Mujeres and tonight I’m off to a pirate cruise on a galleon with my son. It’s open bar so we should both enjoy it!